Expand search to view more listings in and around Westborough. See more offices in and around Westborough. To help you find the ideal location for your Westborough office, the Offices.net site allows you to quickly find and get the critical information about each of them quickly and easily. We have a wide range of offices available, many with flexible lease requirements that can be adjusted to your company's needs. 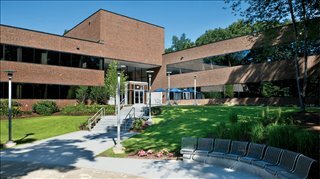 Regardless of the size of your company or what business requirements you have, Offices.net has an outstanding selection of offices to suit your needs in Westborough, Massachusetts. With flexible rental contracts and a range of professional business support services and facilities included, the above listed Westborough office space is available to suit you. Most of the offices offer an extensive range of business support services which include telecommunications set up, internet and network wiring, trained receptions and office administration personnel and, in some cases, IT support staff. On top of this, most of the business centers also provide spacious conference and meeting room amenities with free car parking, kitchen areas and, in some cases, even onsite gyms. Select any of the executive office suites in Westborough listed above. All of the office space listed on Offices.net is in an excellent location, and is available for immediate rental on flexible terms. Haven't got time to search? Just contact us using the contact details above and we'll be happy to show you some locations in and around Westborough.